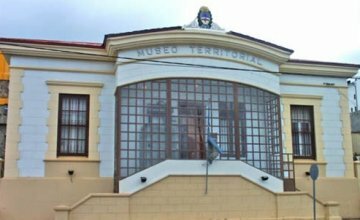 The museum halls revive the events and legends of this fascinating region at the world’s end. We have even read about some of them in books. This city saw the war against Great Britain from a very close distance. 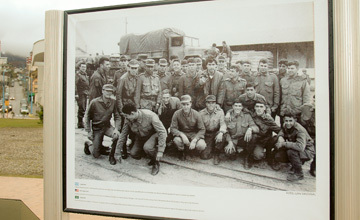 The deep local feeling was portrayed in a monumental work on Islas Malvinas Square. 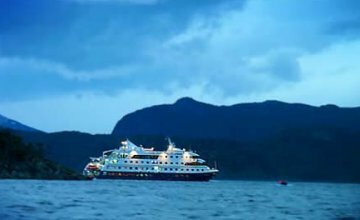 A dream come true for many people: sailing the Beagle Channel undoubtedly is one of the greatest attractions in the City of Ushuaia. The city at the world’s end boasts its first shopping mall. A site of encounter where the latest fashion trends, indoor entertainment and supermarket shopping are combined. 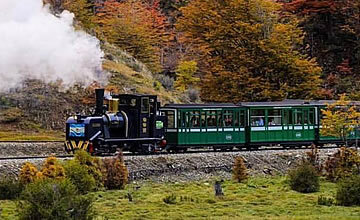 Many people think this is what Ushuaia needed in order to become the most complete and amusing city in Argentina. 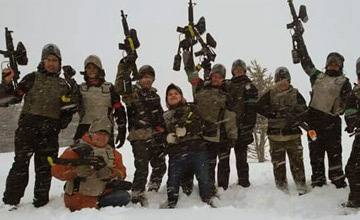 A paintball field featuring incredible scenes. 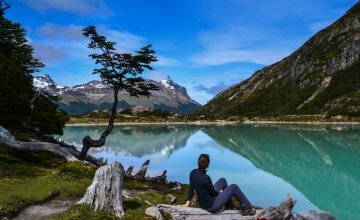 Lake Esmeralda is a perfect outing in the surroundings of Ushuaia, ideal for hiking around in groups. 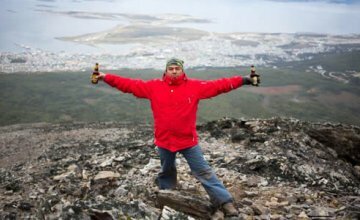 Every year, the longest night in the world is celebrated in Ushuaia on June 21, when the city gets decked out and sleeping is forbidden. 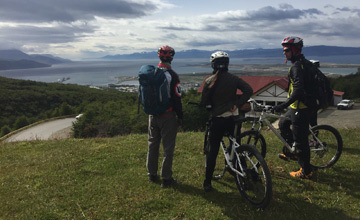 Ushuaia is a beautiful city to see while riding a bike and, though it may seem hard to believe, when the winter comes, this is the perfect outing. 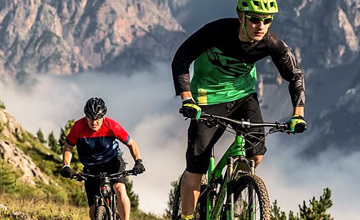 Even on ice, cyclists may enjoy memorable moments on a mountain bike. 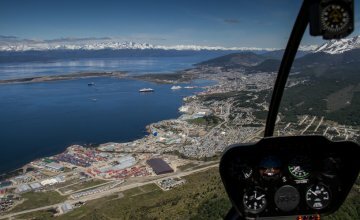 Flying over the fantastic scenes of Tierra del Fuego on a helicopter is hard to imagine. 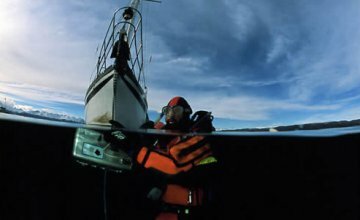 Those who choose this adventure will certain have an experience second to none. 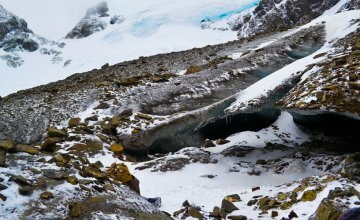 The landscape around Vinciguerra Glacier and Laguna de los Témpanos (Ice Floe Lake) is closer to sci-fi than to reality. Explore the unbelievable. 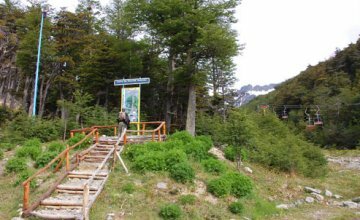 A few kilometers away from the City of Ushuaia, the southernmost in the world, there are various winter resorts which have been specially designed both for grown-ups and children. Amusement starts as soon as the snow begins to fall. 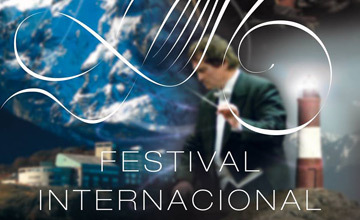 Ushuaia, an avant-garde city when it comes to international events, has welcomed the Interski 2015. Urban, sport and technological works have been carried out for such purpose. 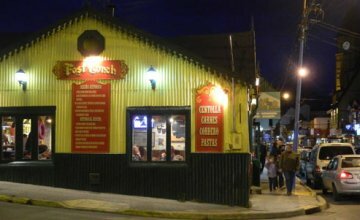 La ciudad de Ushuaia se viste de gala para dar comienzo al Festival Internacional de Música Clásica. 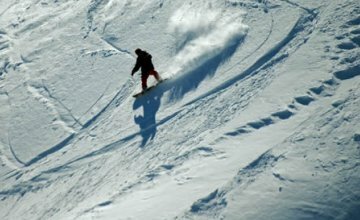 In the end of Patagonia during its fourth winter season you will discover the newest ski resort in Argentina nearest to the end of the continent. 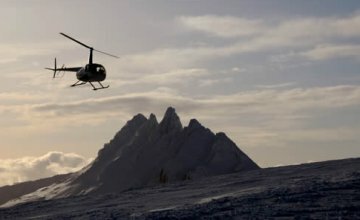 This new sport consists in reaching the best locations in the mountain by helicopter and then skiing downhill. 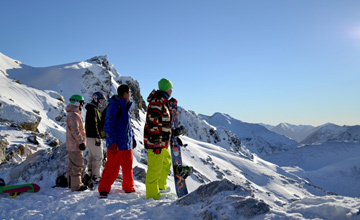 A way for skiers' dreams to come true. Tasting a delicious mug of icy beer turns out to be satisfying at any season. There are labels for every taste. 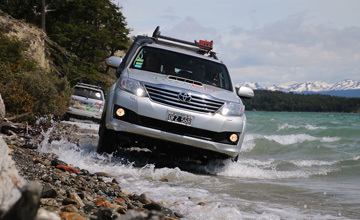 Close to the city, Martial Glacier is a great option for nature lovers. An indescribable ride around wild scenes where adventure becomes mixed up with the experience of men in these lands. 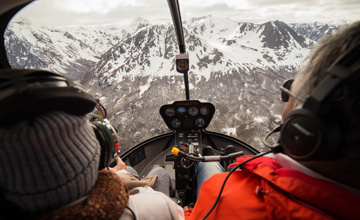 An incredible tour that unveils the most remote nooks of Ushuaia. Suitable for all audiences. 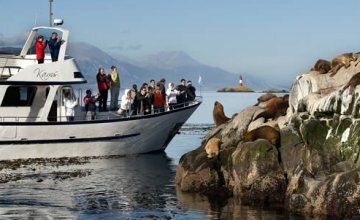 Forests of algae plants, sea animals and mysterious shipwrecks make up the ideal setting for adventurers eager to explore the other side of the Beagle Channel, the one under the sea. 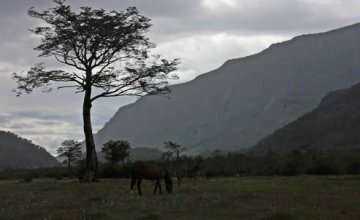 Created in 1960 to protect the southernmost forests by the Beagle Channel, Tierra del Fuego National Park covers an area of 63,000 hectares. 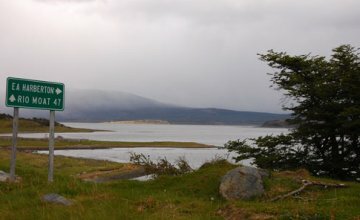 Upon crossing the Andes from Ushuaia, the Great Island of Tierra del Fuego features imposing natural scenes, among which famous Lake Fagnano emerges. 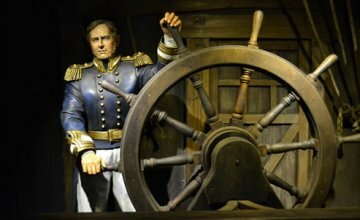 The Museo del Fin del Mundo (End of the World Museum) holds a remarkable collection of pieces of the first expeditions and the indigenous people who inhabited these coasts. 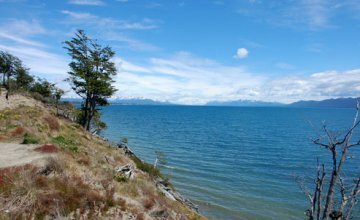 Visiting famous estancia Harberton is a way of understanding the City of Ushuaia, sailing the Beagle, seeing a colony of Magellanic penguins and much more. 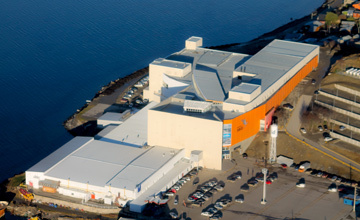 Attractions at the world’s end include a fascinating experience: watching the area from above. Ushuaia has grown by the sea, under the watchful gaze of the prison. 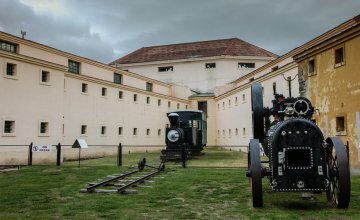 Both museums, the Maritime and the Prison, bear witness to the passing of time. 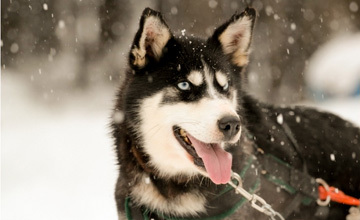 Valle de los Lobos is the name of Gato Curuchet’s sled dog kennels, one of the most imposing sites that may be visited in the surroundings of the City of Ushuaia. 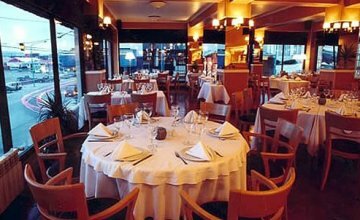 Gastronomy is one of the strengths of the City of Ushuaia. Praised both by locals and international tourists, it is well worth trying. A Summer Day with Gato Curuchet. 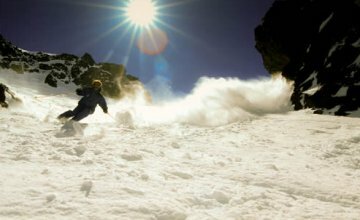 When summer arrives in the southern hemisphere days grow longer and it’s time for the best excursions, like the ones Gato Curuchet provides. 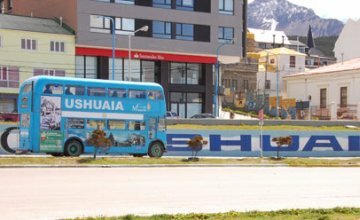 As in all great tourist cities in the world, the best way to get to know the present and past of Ushuaia is the double decker city tour. 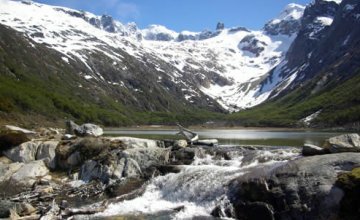 The Isla Grande de Tierra del Fuego, on the southern end of the country, features must see natural charms. 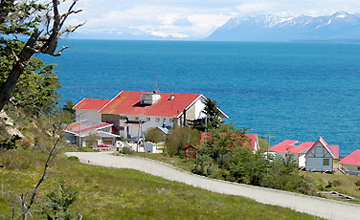 Ushuaia is the capital city of the Province and a first-class tourist pole.